Theosophy students must beware of wishful thinking. This sort of mental illusion results from an intense personal desire to be kind and spiritually-minded towards all. Inspired by this idealistic attitude, it often occurs that when we see someone is making a mistake, we forbid ourselves even to think about that. We do not want to hurt that person’s feelings. We sense we can’t cause suffering to his outer personality or “shell” by telling him the truth. We take it for granted that such a person is attached to his favourite illusions, and it seems unacceptable for us to destroy any fancies of our friend’s outer shell. Perhaps one or two of our friends do the same favour to us. They see all our mistakes – they may even invent some extra shortcomings – but since they are spiritual people, they are kind enough to make believe they don’t. It could be insane to provoke our anger. Consciously or unconsciously most people sense that truthfulness is a dangerous thing. At every moment, any extra amount of sincerity may seriously violate the rules of social courtesy, breaking an implicit but forceful agreement for mutual respect and equilibrium among different personality masks. H.P. Blavatsky never accepted such social rules, and she paid the price for that. The Old Lady looked at the movements of the soul – not at those of the shell. She couldn’t help it: she was far from being politically correct. Perhaps her honesty was part of the reason why so many people found her personality rather strange and unconventional. When one has his consciousness centered in the heart, his sincerity undergoes a process of growth and he finds it increasingly difficult to share selfish goals, or to lie and say falsehoods in order to keep a kind attitude towards people. There seems to be a greater self-confidence, on an inner level, and an absence of short-term astuteness or cunning, outwardly. The student tends to say what he thinks – and hence dozens of problems emerge. He may be hated or persecuted for that higher degree of sincerity. He is often caught in the midst of an iron contradiction between the need to be courteous and the need to be sincere. How can one best face that challenge? Sooner or later, a growing degree of self-sacrifice will be inevitable. Remaining silent is only a partial solution which cannot solve all problems in every occasion. According to the “Golden Stairs” given by HPB to her students, making a brave declaration of principles is one of the main steps in the inner path to the Temple of Truth. This is no rhetorical recommendation. For truthful people, defending truth tends to be a practical necessity. If they don’t do that, they may gradually cease to be sincere without ever noticing it. 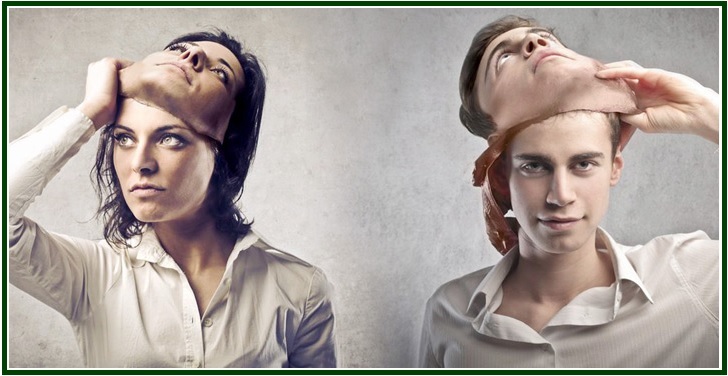 Accepting lies or illusion destroys mental clarity and hence severely reduces the possibility of identifying our own mistakes. Then one can’t even know one is going astray. On the other hand, as we try to be sincere and to defend truth we are likely to be accused of being intolerant of other people’s views. If, for instance, we take some steps to put an end to a specific absence of ethics within our field of action, our attitude can be easily construed as intolerant. We are then accused of being aggressive towards the emotional shells of others. But what exactly are the limits between real, heartfelt tolerance – and merely social courtesy? A few basic principles might help us in the task of making such a distinction. 1) While outward courtesy may have nothing to do with ethics, tolerance is certainly inseparable from it. Tolerance is the willing acceptance of change and contrast among different views and aspects of life. It emerges without effort from an open mind and a pure heart. Yet it is naturally limited by the sense of truthfulness towards all and of full responsibility for one’s own actions. 2) Tolerance can only take place where there is a common respect for truth. Liberty of thought should not be seen as a license to lie and to slander, for instance. Passive or active support to any wrongdoing is no tolerance, but sheer complicity, even when disguised under the elegant masks of open-mindedness and spiritual generosity. In short, duality and diversity are part of external life. We must accept and even celebrate them, but this is not the same as welcoming obvious lack of truthfulness – or leaving it unchallenged. Since its creation in the 1870s, the theosophical movement has been an open battlefield for testing truth and error. Decade after decade, we have been painfully trying to identify our collective mistakes, to learn from them and finally to correct them once for all in order to go ahead. Unidentified mistakes tend to repeat themselves, while those same mistakes, once corrected, become part of our common wisdom and help us along the way. Indeed we all want peace, physically and emotionally. More: we want peace based on routine. We do not want to be warriors. Perhaps it was to avoid outer dissension and disharmony and to attain peace in the realm of appearances, that along the 20th century some theosophical circles got used to accept a strange mixture of true ideas and absurd fancies, all put together as part of a naive conception of universal brotherhood, in which implicit rules of courtesy forbid people from being frank and honest with their words. How can that happen, if the uncompromising search for truth has been from the beginning an essential part of the theosophical ideal? First of all, many people are slaves to appearances and have no real interest in searching for truth or testing its descriptions in their lives. They prefer the easy way of belief. Secondly, for those who really try, having access to truth is never easy. The student has to undergo a certain death to selfishness in order to be born in unconditional wisdom and happiness. Gradual acceptance of truth brings with it a painful inner transformation which can be successfully done by the student only after he has learned to become relatively independent and to take entire responsibility for his own life. Since childhood human beings are taught to disguise and to repress their real emotions. Throughout life, people suffer strong pressures to renounce their sincerity and to develop highly socialized personality shells which feed mainly on fancies and appearances. This trend – which leads to hypocrisy – is accepted and perhaps intensified in some theosophical circles. The validity of this sentence is not restricted to the 19th century. Perhaps we ought to ask ourselves whether an Adept-Teacher, examining in 2005 the whole of the theosophical movement, would get to the conclusion that we or our groups are free from that mistake, in this first decade of 21st century. What can we do with regard to this? For 130 years now, a living chain of theosophical workers have taught to us a practical lesson which is as old as human kind, and which comes from all wisdom traditions. The lesson says that selflessness in the action is one of the best ways of preventing and fighting both “spiritual” selfishness and tamasic immobility. We must always sow before we harvest. And the seed sown must necessarily be of the same type and substance as that which we hope to harvest one day. There are, therefore, more than one indication that being truthful is a central duty, a basic step for us – if we have the intention to tread the old steep road leading to Truth. “Gita the Mother”, a commentary by Dnyaneshvar Maharaj, translated in English by Manu Subedar, Kalyani Publishers, New Delhi, India, 2000, 318 pp., see p. 58. “From the Note Book of an Unpopular Philosopher”, by H.P. Blavatsky, in “Collected Writings”, TPH, 1960, vol. VIII, p. 137. Published for the first time in the “Lucifer” magazine, October 1887. “Seemed”. The THP third edition of the “Mahatma Letters”, revised by Christmas Humphreys and Elsie Benjamin, changed “seemed” into “seem”. “Mahatma Letters”, T.U.P., Letter XXXIV, p. 245. “The Letters of H. P. Blavatsky to A. P. Sinnett”, Theosophical University Press, compiled by A. T. Barker, facsimile edition, Pasadena, California, 1973, Letter XVII, p. 36. See also “Letters From the Masters of the Wisdom”, Second Series, TPH/India, 1973, Letter 65, p. 118. See, for instance, “Mahatma Letters”, Letter LV, p. 322. “Mahatma Letters”, T.U.P., Letter XXVIII, p. 210. “Gita the Mother”, a commentary by Dnyaneshvar Maharaj, Kalyani Publishers, New Delhi, India, see p. 74 (first sentence of this quotation) and 78 (last sentence of this quotation). “Gita the Mother”, p. 73. This article was first published in the Canadian magazine “Fohat”, volume IX, Number 3, Fall 2005, pp. 60-62 and 71.